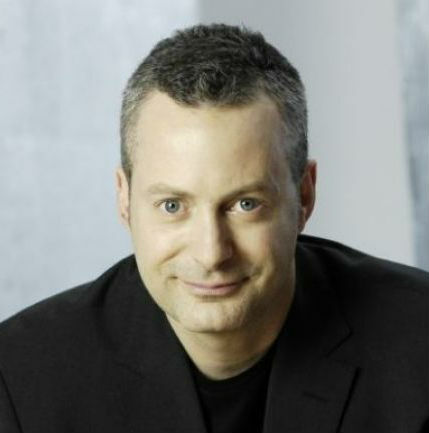 2014 Just For Laughs Chief Operating Officer Bruce Hills has been the driving force behind the world’s biggest comedy festival and most prestigious comedy brand for over 25 years. Bruce oversees the Just For Laughs in all its forms in all English speaking markets around the world. Starting with his first role as a driver for the Just for Laughs Montreal festival, Bruce has done almost every job imaginable in the organization, including time as Director of Programming and Vice-President of International Television, which saw him work with some of the biggest names in comedy, including Jim Carrey, Steve Martin, Louis CK, Chris Rock, and Jon Stewart. In 2013, Bruce was hailed by the UK edition of GQ magazine as “the most powerful man in international comedy.” His main focus is now on building unique festivals and events around the world and exploiting their broadcast rights. Under Bruce’s direction, Just For Laughs has expanded its global reach significantly, launching festivals in Canada, the US, Australia, as well as satellite events in Singapore and Bermuda. The brand’s flagship event, the Just For Laughs Montreal festival, which will soon be entering its 32nd edition, welcomes over 2 million festival-goers each year and has been a launching pad for some of the biggest names in comedy, such as Jimmy Fallon, Kevin James, Dave Chappelle and Kevin Hart to name but a few. Presented in collaboration with TBS, Just For Laughs Chicago featured such headlining acts as Vince Vaughn, Conan O’Brien and Adam Sandler during its five year run. Just For Laughs at Sydney Opera House completed its third triumphant year Down Under with another prestigious, 6-day event presented in partnership with the iconic Sydney Opera House in October 2013. Finally, JFL42, which is entering its third year in September 2014 in Toronto, is an interactive, carefully curated celebration of comedy and culture. Showcasing 42 of the most hilarious, interesting, and innovative acts from around the world, this uniquely malleable, user-driven festival boasts an eclectic collection of headliners including Seth Meyers, Lena Dunham and Wanda Sykes in this year’s edition. 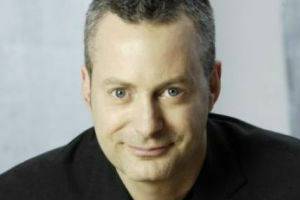 Bruce has helped establish Just For Laughs Live as the number one comedy promoter in Canada, which produces the annual Just For Laughs Comedy Tour, bringing Montreal Festival favorites to theatres in over 20 Canadian cities and promotes solo tours by Jerry Seinfeld, Craig Ferguson, Russell Brand, and John Cleese. Along with partner Adrian Bohm Presents, Just for Laughs promotes tours for artists such as Jimmy Carr, Sarah Silverman, Noel Fielding and Demitri Martin in Australia and New Zealand. He also produced the off-Broadway hit Evil Dead: The Musical, which successfully played to huge crowds in New York City, Toronto, Las Vegas, Tokyo, Seoul and Detroit, and Family Guy Live, featuring Seth MacFarlane and the entire cast of the show, which performed in Los Angeles, Chicago, Toronto and at the prestigious Carnegie Hall in New York City. In addition to his extensive resume of live productions, Bruce is also responsible for over 1000 Just For Laughs television specials broadcast by various networks around the world, including The Comedy2014 Network, HBO Canada and CBC in Canada, where Just for Laughs is the longest-running stand-up comedy series in television history; TBS, Fox, HBO, Comedy Central, Showtime, BBC America, MTV in the US; TV3, Network 7, Network 10, ABC, Comedy Central and Comedy Channel in Australia and New Zealand as well as Comedy Central, Channel 4 and the BBC in the UK. 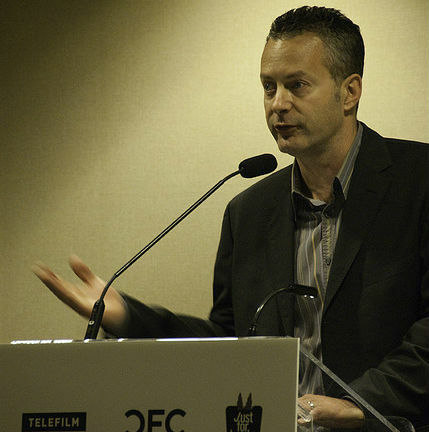 Most recently, he Executive Produced the IFC series Bullet in the Face, starring Eddie Izzard, as well as The Tournament for the CBC, which also aired on Versus in the U.S, where it was praised by the New York Times as a “jewel to behold,” and spawned the critically acclaimed UK adaptation The Cup, which debuted to fantastic reviews on BBC. Bruce played an integral role in the cementing of the partnership between Just for Laughs and Sirius XM US, a satellite radio network that reaches over 25 million subscribers across North America. He now oversees Just For Laughs Radio, a 24/7 channel featuring over 30 years of comedy archives as well as special events produced from its festivals around the world, and Just For Laughs’ one-hour show on the popular Raw Dog channel. Named one Variety’s “50 Individuals Who Impacted Comedy” in 2006, alongside Hollywood A-listers Will Ferrell and Sacha Baron Cohen, Bruce was declared “The King of Comedy” by The Globe and Mail. He has served as a judge on prestigious Perrier Awards panel, the So You Think You’re Funny competition at the Edinburgh Fringe Festival, the original Star Search hosted by Ed McMahon. He has also been asked to participate in various panels related to comedy and television at SXSW, Edinburgh Fringe Festival, Montreux Comedy Festival and Banff World Media Festival. 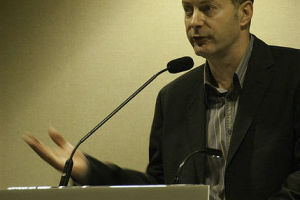 An active member of the Montreal community, Bruce has lectured at McGill University, the John Molson School of Business at Concordia University, as well as at Lower Canada College, and various high schools as part of the Back-to School program, which encourages young people to stay in school. He has been recognized by the Montreal Gazette and the Montreal Youth Employment Services for his outstanding contribution to the Arts, and has donated his time and energy to help raise money for the Cedars Cancer Institute, including cycling 100 km alongside Lance Armstrong for the Tour de Lance fundraiser in 2010 and 2011. Bruce currently resides in his native Montreal with his wife, Liz, and their 14-year-old twins, Alexandra and Michael.